As a freelance fashion designer, Jacqueline works on design development for womenswear, lingerie, knitwear, swimwear etc. In addition, she acts as a Non-Executive Director for Walker’s Shortbread Ltd, out of Scotland, where she represents her family on the board. This new role is one reason she is ready to attend the Berlin School of Creative Leadership and earn her EMBA. "I remember searching hopefully on Google for "creative MBA" assuming that there would not be such an option. The Berlin School instantly intrigued me, as did the flexibility of modules, global locations and the strong peer based learning approach. In particular I am excited by the group projects that run alongside many of the modules, which will deliver a tangible executive experience. The course provides ideal preparation for facing a multitude of real life management issues." 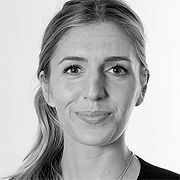 Jacqueline worked at WGSN.COM as the Womenswear ‘Future Trends’ Associate Editor and Designer, where she implemented trend research, fashion journalism and took ownership of the CAD design development for the Womenswear team. As a Womens’ Casualwear designer, she designed high street garments for a top Marks & Spencer supplier, specialising in woven tops and bottoms for the casualwear department. She was also a womenswear designer for the Çak Group in Istanbul, Turkey. She received her Bachelor of Arts Honors Degree in Fashion Design Womenswear and a Diploma in Industrial Studies at Central St. Martin’s College of Art & Design in London.